Each one of us travels a different path. 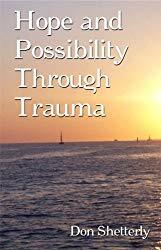 In my new book, Overcoming A Mysterious Condition, I share my journey and the concepts I used. “How Did I Heal” is the first chapter in my new book, Overcoming A Mysterious Condition. It was not easy healing or finding my way through what life dealt to me. I struggled hard. Even though I can write about it now and make it sound coherent, it was anything but that during this journey. Answering the question of how did I heal is not easy in the least bit. Some of it I have most likely forgotten and some of it can be painful to remember. It can be a bag of mixed blessings. There are actually parts of the book that still push my emotional wounds to the surface. I really tried to tone this part down in the book because it can be too intense. I wanted to tell the story of how did I heal without overwhelming everyone’s compassion. In the early days of healing, I had no internet to turn to for answers. My family had pretty much abandoned me because they were afraid of the truth that dared show itself. I wasn’t aware of what to do, how to proceed, or if I would make it. Doctors at the time told me I would be lucky if I could ever make it back to work. Doctors told not to expect the life I once lived. These statements became motivating forces for me. When I focus on the steps of how did I heal, my perspective has changed so much from when I traveled through these moments. How I see things now and how I saw them as I progressed are two totally different points of view. In some ways, though, I think not having the internet was a blessing in disguise. While there is a lot of good on it and a lot of help, I see some of it as not helpful. It often reinforces the things that don’t serve a good purpose for our lives. If we are not careful, we too closely identify with a label of our condition, rather than working to heal it. While I talk down about the internet, a male survivor support forum became a positive healing experience for me. I’m not saying all the internet stuff is bad, but without it, I had to uncover every rock and find my way. I had to sift through the bad to find the good. These days, the internet can be too unconscious and really hurt us more than help us. I learned to keep taking steps, both literally and figuratively. 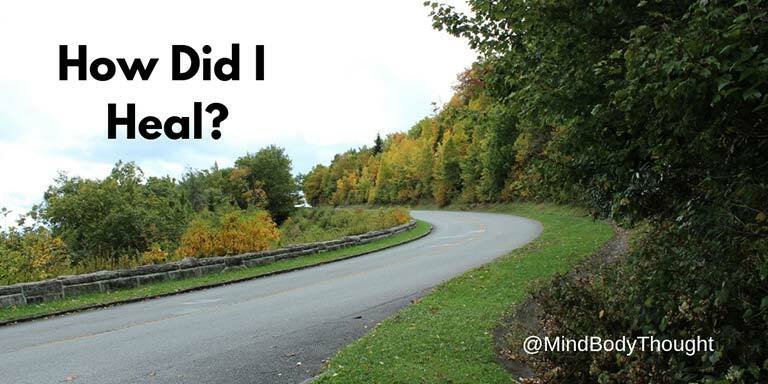 After the paralysis, what I had come to know my life to be was no longer true. In many ways I started with a blank slate, but I still had to go in and challenge all the beliefs and opinions I held. Each one of us travels a different path. 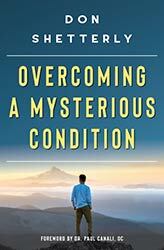 In my new book, Overcoming A Mysterious Condition, I share my journey and the concepts I used. It was not a step by step process, but one that took me in directions I would have never guessed at the start of my healing.